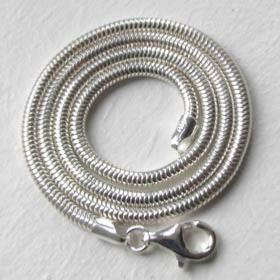 This beautiful fine silver snake chain, made by one of Italy's pre-eminent chain makers, features the new ruthenium plating. 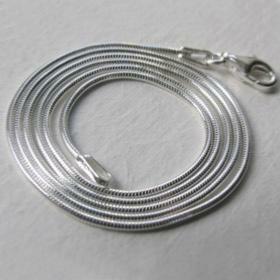 Ruthenium is a matt black plating used over sterling silver and looks stunning contrasted with the sparkling diamond cutting. 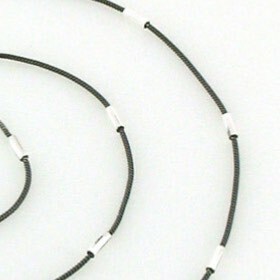 The diamond cut tubes are spaced at 2.3cms intervals. 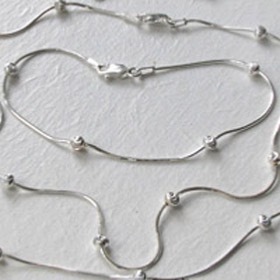 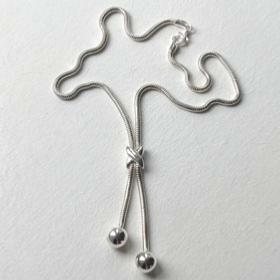 This fine silver snake necklace is gorgeous worn alone but to be "on trend", layer it with other necklaces. 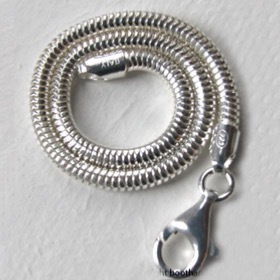 It is round in profile, measures 1.2mm wide and fastens with a lobster claw fastener. 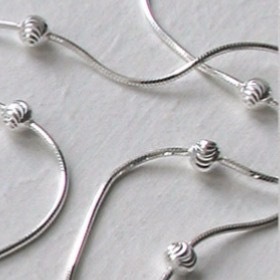 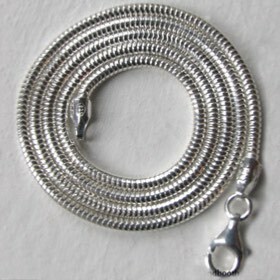 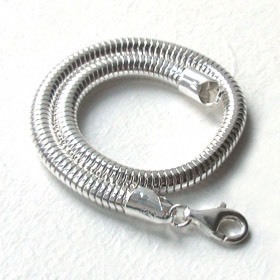 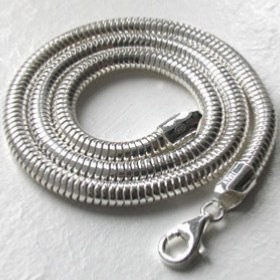 See the matching silver snake bracelet (below).